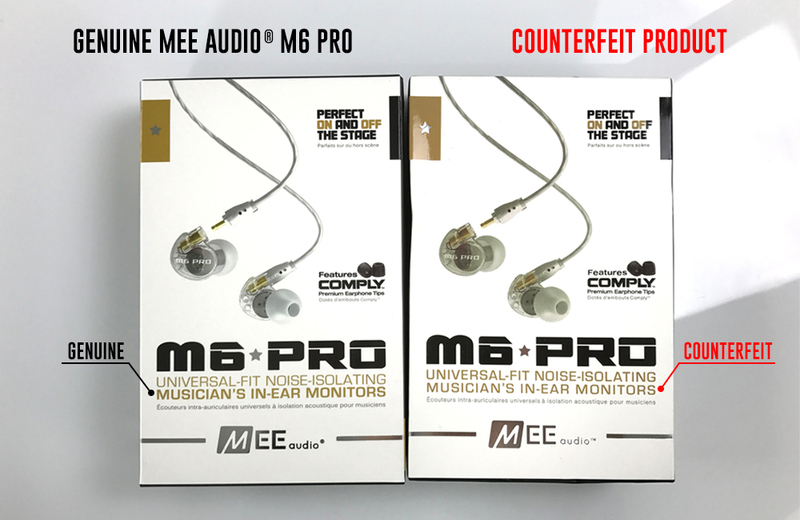 We have recently learned of counterfeit MEE audio M6 PRO in-ear monitors being sold by unauthorized distributors and resellers in various regions around the world. 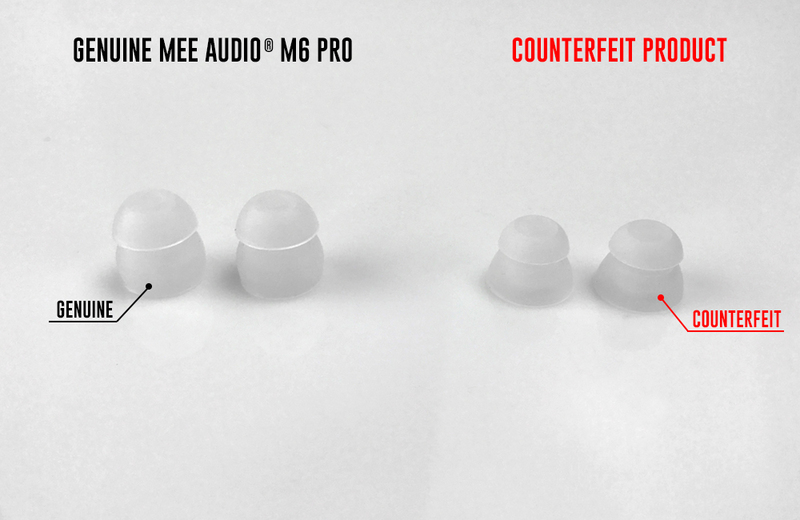 While these products bear MEE audio logos and can appear extremely similar to the genuine articles at first glance, the internal components, assembly quality, and performance all fail to meet our standards. These products may also fail to meet safety regulations for materials or workmanship. We regard such products as infringement on our intellectual property rights and a violation of our registered trademarks, and will pursue all available legal actions against the manufacturers and sellers of these items. Our aim has always been to deliver high-quality products to our customers at reasonable prices, and these unauthorized knock-offs run counter to these goals. 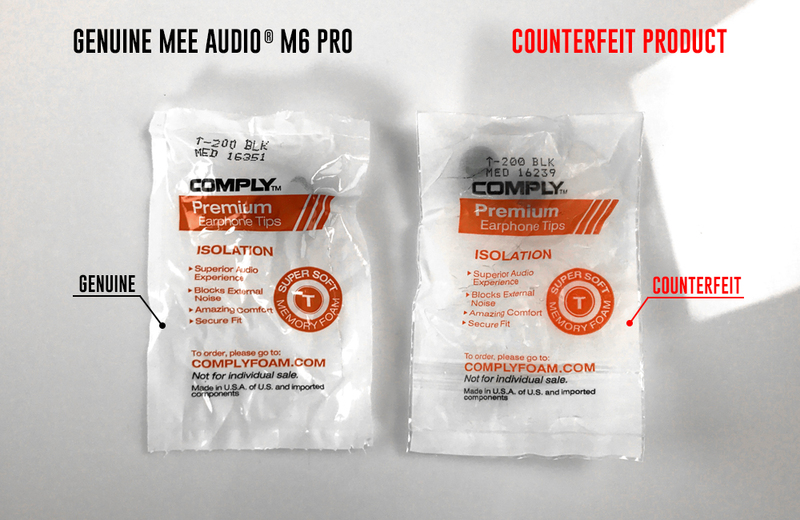 While we have already launched our efforts to clear the marketplace of all knock-off MEE audio products, we also openly provide this information so that our customers can make educated buying decisions and ensure they are getting the performance and quality our brand is known for. 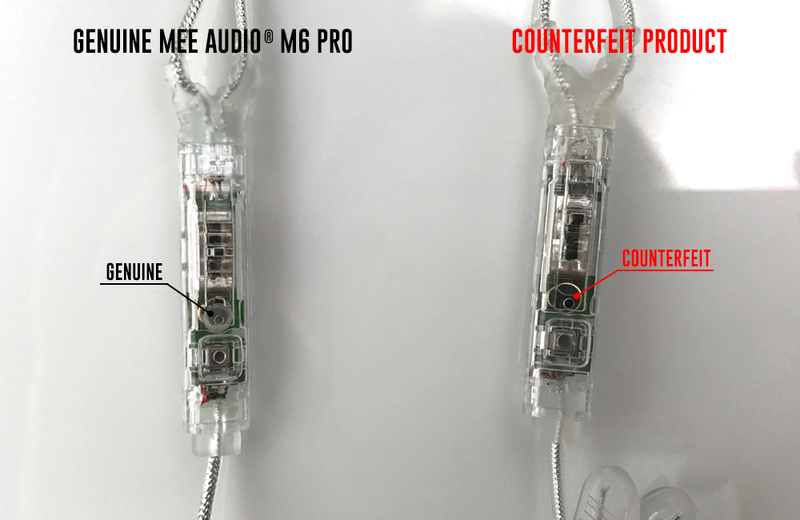 Avoid purchasing items marked used or refurbished, except those sold by MEE audio’s official eBay store. If a deal seems too good to be true, it probably is. MEE audio’s technical support and warranty are provided solely for products purchased from our authorized resellers. We cannot reimburse you for, repair, or replace counterfeit products, but are actively pursuing action against all counterfeiters. Any information about counterfeit product that you can provide will help our efforts. 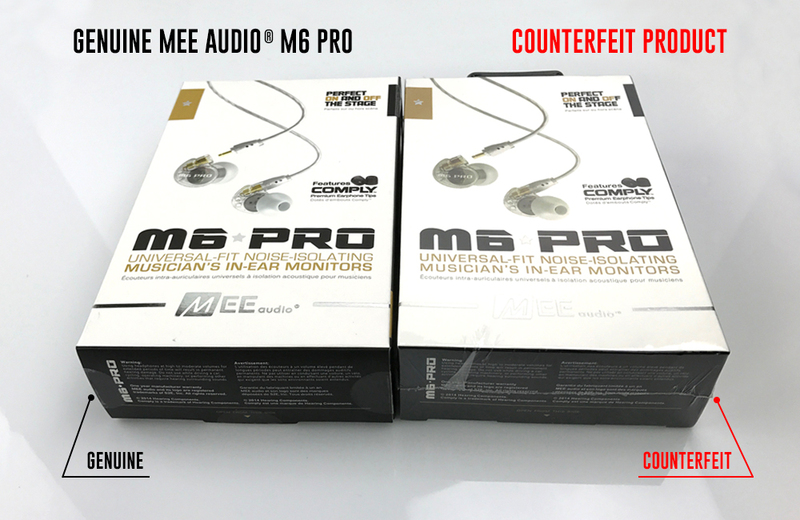 If you suspect that you have purchased a counterfeit item, please report it to us by contacting support@MEEaudio.com and return the item to the original seller. 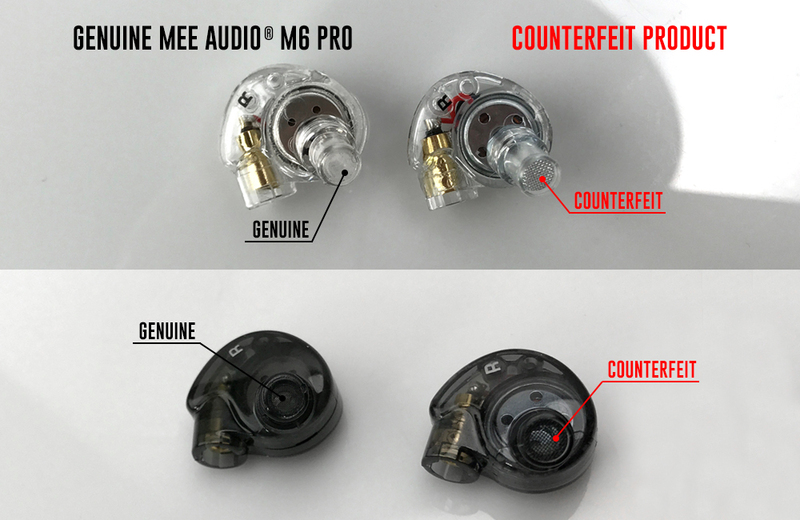 Please refer to the images below for some of the differences to look out for between genuine and counterfeit M6 PRO in-ear monitors. This is not an exhaustive list of differences. If you suspect that you received a counterfeit, please contact us. 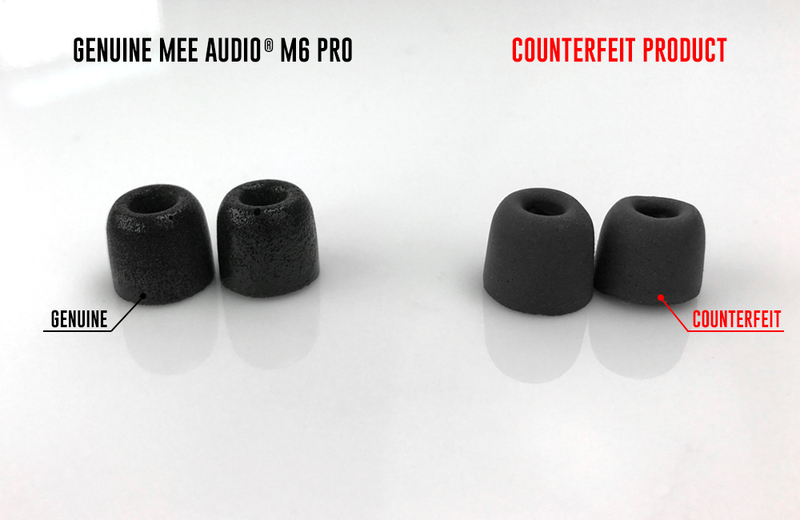 If you have questions regarding the authenticity of your MEE audio M6 PRO in-ear monitors, please contact us. Thank you for reading this and for your support of our efforts to protect our customers from negative experiences!